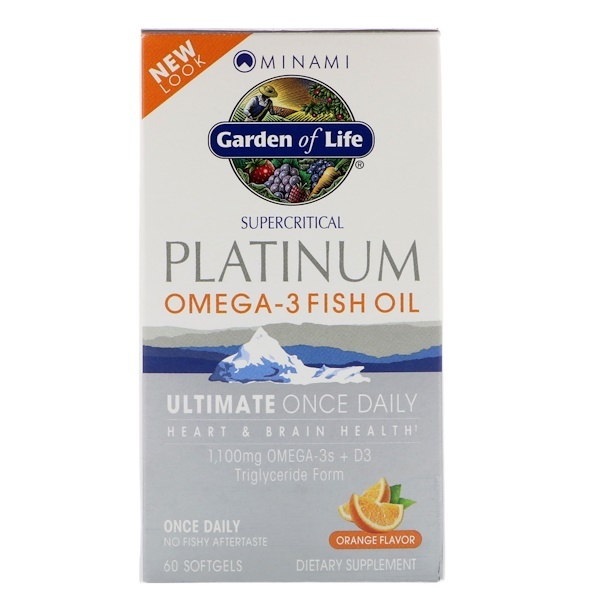 Minami Platinum is a premium supplement that delivers 1,100 mg of Omega-3 nutrition plus 1,000 IU of vitamin D3 in one convenient softgel with a clean, orange flavor and no fishy aftertaste. 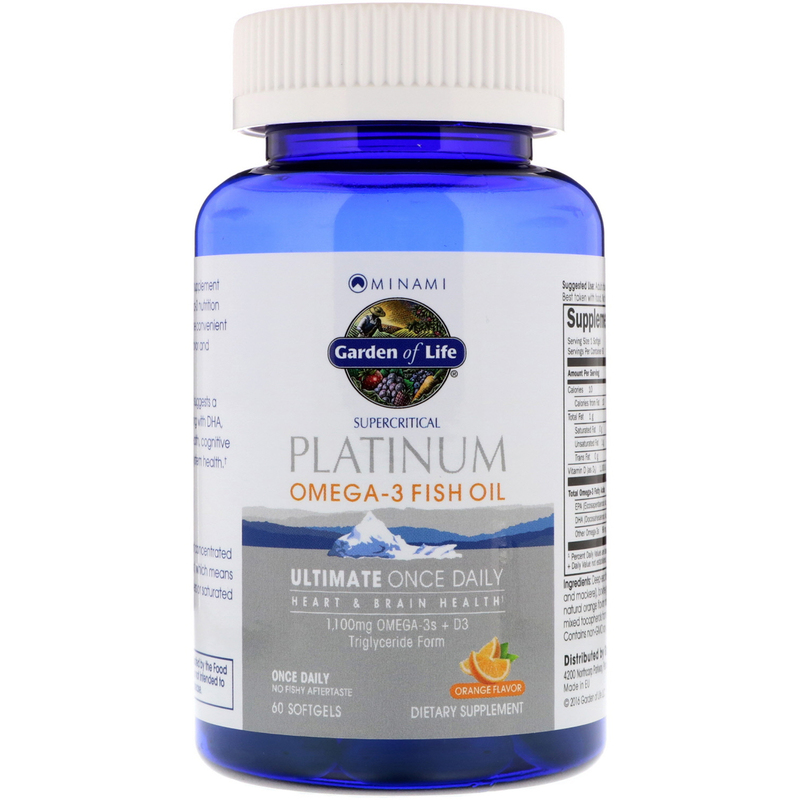 Advanced Omega-3 research suggests a high concentration of EPA, along with DHA, can support cardiovascular health, cognitive function, mood and immune system health. Quality Testing. Minami oils go through rigorous third-party testing and have remarkably low levels of oxidation as well as undetectable levels of dioxins, pesticides and heavy metals like mercury. Minami obtains fish from sustainably managed waters and is the only fish oil in the world to receive EMAS (Eco-Management and Audit Scheme) status–a very stringent European standard. Minami fish oils are processed in unique energy-efficient facilities, that recycle organic waste materials to convert them into energy to power the factory and community. 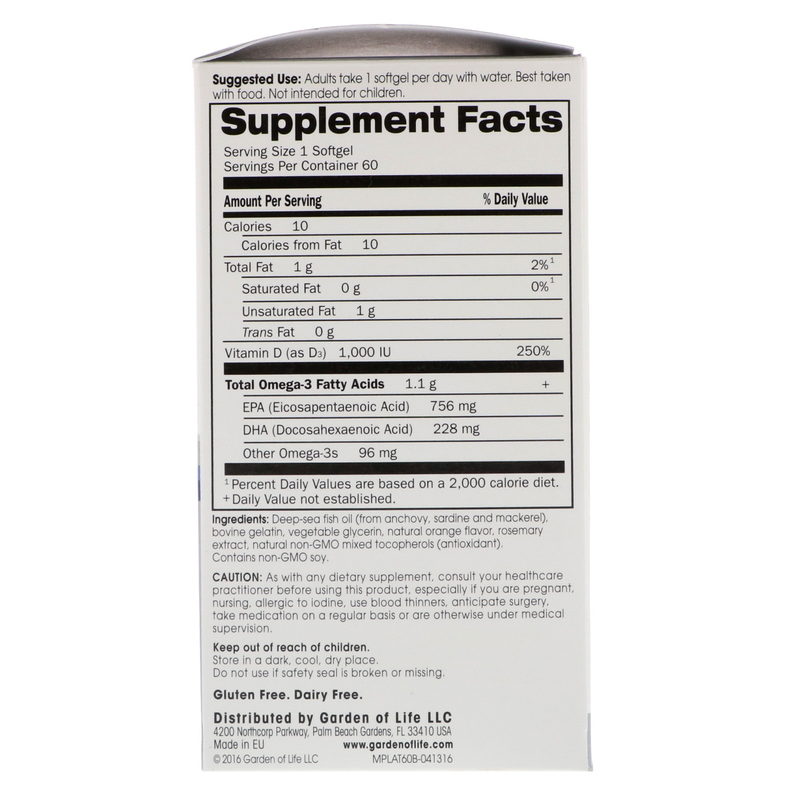 Deep-sea fish oil (from anchovy, sardine and mackerel), bovine gelatin, vegetable glycerin, natural orange flavor, rosemary extract, non-GMO mixed tocopherols (antioxidant). Caution: As with any dietary supplement, consult your healthcare practitioner before suing this product, especially if you are pregnant, nursing, allergic to iodine, use blood thinners, anticipate surgery, take medication on a regular basis or are otherwise under medical supervision. Store in a dark, cool, dry place. Do not use if safety seal is broken or missing.